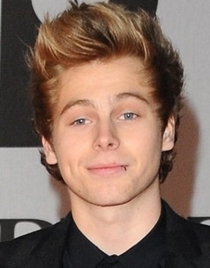 Best known for being the lead vocalist of Australian rock band 5 Seconds of Summer, Luke Hemmings was born on July 16, 1996. He first rose to prominence through YouTube where he used to upload the covers of songs of various artists. Soon after this he was joined by Calum Hood, Michael Clifford and Ashton Irwin. The four man transformed themselves into a band and named it 5 Seconds of Summer (5 SOS). The band soon gained huge amount of popularity over YouTube and during 2013, they even supported One Direction on their worldwide Take Me Home Tour. The official debut single of 5 Seconds of Summer “She Looks So Perfect” in early 2014 which garnered huge amount of popularity in several countries. This was followed by their self-titled debut studio album in mid-2014 that also proved to be highly successful and peaked No.1 in 11 countries. After that the band released their second album “Sounds Good Feels Good” during 2015 which also was very well-received by both fans and the critics. 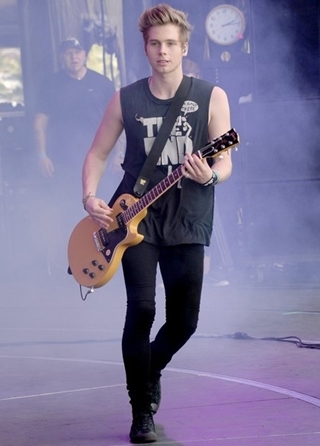 Luke Hemmings continues to perform as the lead vocalist as well as rhythm guitarist of the band. The 5 Seconds of Summer band member Luke Hemmings body measurements are listed below including the details of his weight, height, chest, waist, biceps and shoe size. Mila Kunis is his celebrity crush. 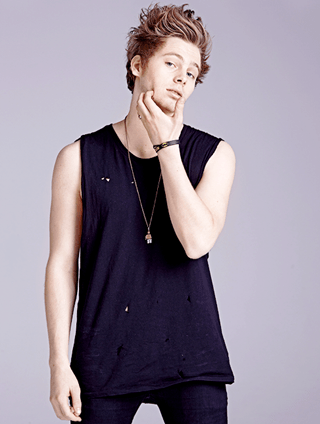 Luke Hemmings is the youngest as well as the tallest member of the band. He first earned recognition during 2011 through posting videos on YouTube.